These model specifications are designed to accelerate the adoption of digital technologies for public lighting by assisting buyers, vendors, contractors, funders and advisors to engage confidently and efficiently in the procurement of LED lighting and controls. They are compatible with AS/NZS standards, customisable to a range of projects and needs, use easy to understand language, and are available free of charge. They were authored for IPWEA and the Australian Government by Bryan King and Godfrey Bridger of New Zealand’s Strategic Lighting Partners, together with Graham Mawer of Australia’s Next Energy. Two recent events provide a huge boost to New Zealand Councils for their road lighting plans. On 6 March the NZ Transport Agency (NZTA) announced all qualifying upgrades to LED street lighting by NZ Councils would receive 85% funding by NZTA. In December 2016 the Institute of Public Works Engineering Australasia (IPWEA) released a world-first strategic plan for road lighting, called the SLSC (Street Lighting and Smart Controls) Roadmap. This article examines how the SLSC Roadmap applies to NZ, the differences in road lighting between NZ and Australia, and the top five barriers to adopting LED lighting with smart controls. This major report on the future of Australia’s street lighting provides a pathway to a LED street lighting rollout that would save Australian councils $100 million per year. An initiative of the Institute of Public Works Engineering Australasia (IPWEA), and lead-authored by NZ specialist consultancy Strategic Lighting Partners, the Street Lighting and Smart Controls (SLSC) Programme Roadmap makes 12 recommendations to fast-track Australia’s changeover to LED street lighting. Compiled with the support of the Department of the Environment and Energy as well as major lighting and smart controls companies, the Roadmap demonstrates the massive economic, environmental and public safety benefits of light emitting diode, or LED street lighting. SLP’s submission recommends that EA auditing requirements for Distributed Unmetered Load (DUML) – of which the largest proportion is road lighting – be changed to anticipate the rapid introduction of new solid state lighting technologies and control systems. 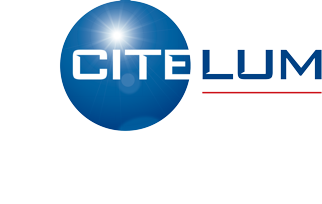 Strategic Lighting Partners Ltd (SLP) was commissioned by CENTROC (Central NSW Regional Organisation of Councils) to analyse Essential Energy’s “Public Lighting Proposal” to the Australian Energy Regulator (AER) of May 2014 for the 2015-2019 regulatory period. SLP’s report concluded that Essential Energy’s proposal to increase total public lighting costs by an average of 67% (total $6.2 million) or 94% (operating $6.5 million) across all councils was not justified on the evidence presented. The report is published on the Australian Energy Regulator website and can be found here. IPWEA, 2014. PN 11: Towards More Sustainable Street Lighting (July 2014). Practice Note prepared by Next Energy and Strategic Lighting Partners for the Institute of Public Works Engineering Australasia Limited (IPWEA) and the Australian Centre of Excellence for Local Government (ACELG) at the University of Technology, Sydney (UTS). This Practice Note: • lays out the emerging street lighting options for Local Government; • explains how these options will reduce costs, improve service levels and improve environmental outcomes; • highlights key impediments to securing these potential benefits; • makes recommendations for action. This report can be downloaded for free or a hard copy purchased for $30 ex GST from IPWEA’s website here. A report commissioned by the NZ Transport Authority (NZTA). Lighting the Way to Road Safety – A Policy Blindspot? A report presented to the Australasian Road Safety Research, Policing and Education Conference, 4-6 October 2012, Wellington, New Zealand. The inaugural Australasian conference and exhibition for road lighting professionals and road lighting authorities, Road Lighting 2014: Innovation • Efficiency • Safety, was held in March 2014 at the Langham Hotel in Auckland, New Zealand. RL2014 attracted an international audience and wide media interest. It was also won the ‘Special Event’ category at the 2014 Public Relations Institute of NZ Awards for conference organiser Strategic Partners Ltd.
Road Lighting 2015: Smart City Investment was the successful follow-up to RL2014 that highlighted international best-practice in LED road lighting and was a platform for the Minister of Transport and Energy and Resources, Simon Bridges, to announce an accelerated funding programme for LED road lighting through the New Zealand Transport Agency. The accompanying exhibition also offered a prime opportunity for a range of organisations to showcase their expertise and leadership for the move to LED road lighting in New Zealand and Australia. 3rd International Street Lighting + Smart Controls, Brisbane, March 2017, was held in partnership with the Institute of Public Works Engineering Australasia (IPWEA) to secure the future of this conference series. This conference and exhibition was a platform for IPWEA and the Australian Department of Environment and Energy to provide another tool in support of a LED street lighting rollout following the launch of the Roadmap for the Street Lighting Smart Controls (SLSC) programme. For more information about this conference series please go to http://roadlightingconference.com or contact Godfrey Bridger, Conference Manager at manager@roadlightingconference.com. Thank you to the partners and sponsors of Road Lighting 2014 who supported the original concept.